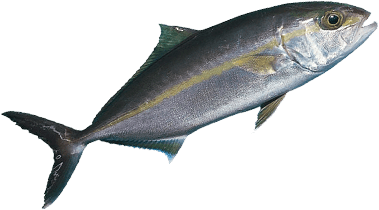 Our friends from Eagle Charters in Elfin Cove, Alaska are heading back north with some Yellowtail tuna in tow. 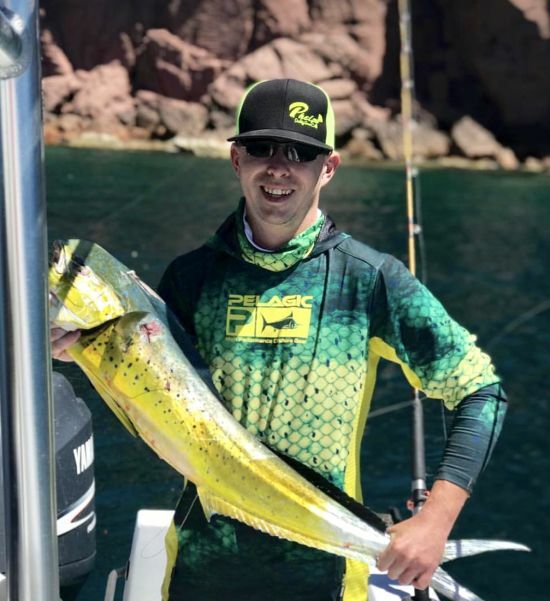 On their second day of fishing the crew Eflin Cove continued to land our big Yellowtail and in the evening they hit visited one of our local chowdown locations. 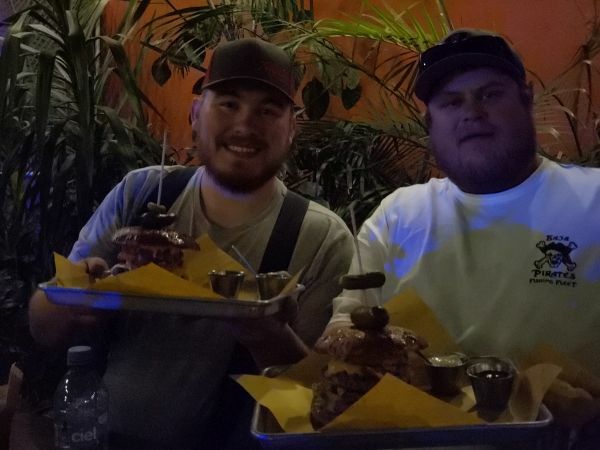 Jason Laboki and Luje Erickson took on the Baja 1000 burger. 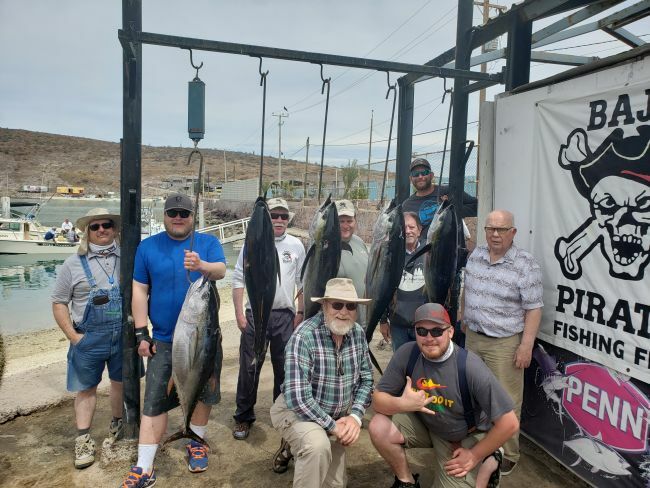 The crew from Elfin Cove Alaska joined us this week and showed us that they are as good catching Tuna as they are catching Samon and Halibut. 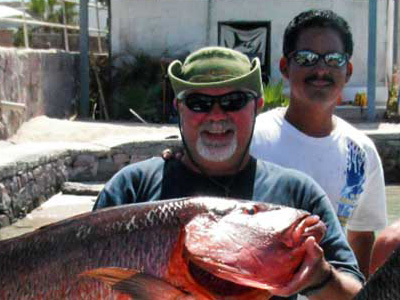 Thane and Pamela got a good start on their take home catch of fish. 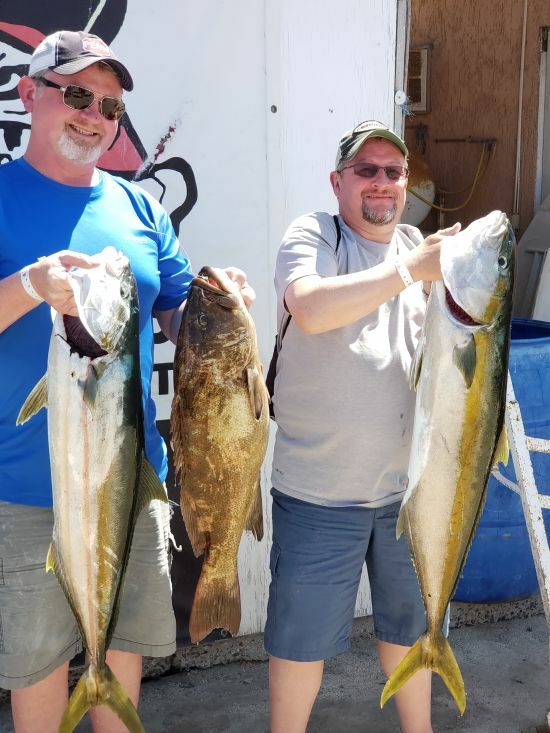 Troy Bloom and Manson DeGraw landed a pair of big Yellowtail and a nice grouper to add to the cooler. 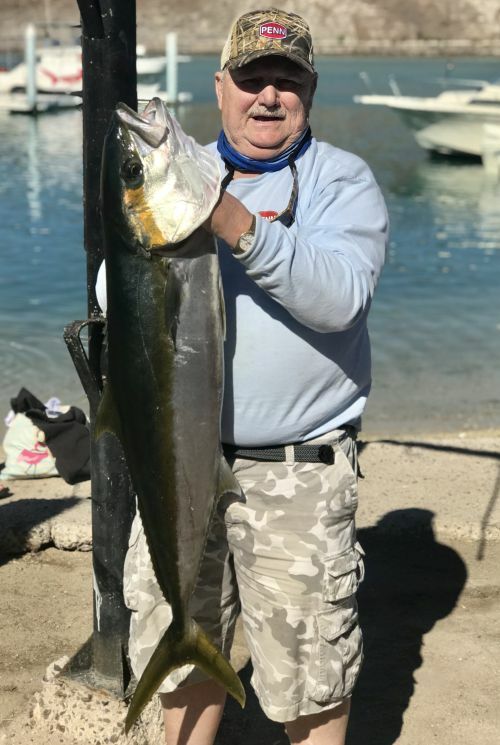 Jerry Jordan very proudly show off a very big Yellowtail he caught today. 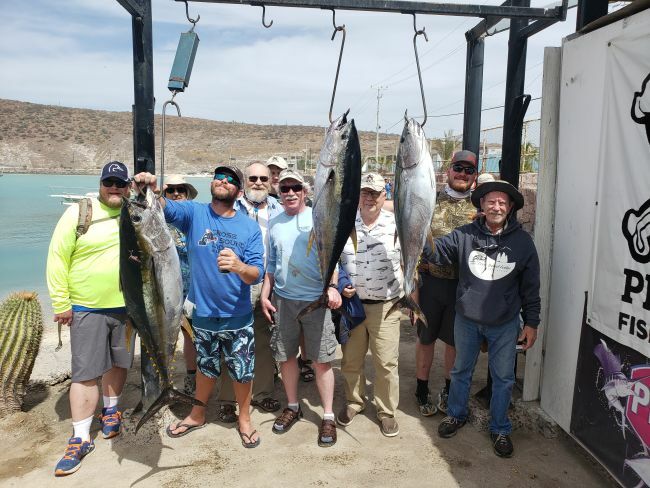 Today Steve Cowgill, Mark Iwahiro and Treey Torrence fished with Captain Memo and they landed this 65# Yellowtail. 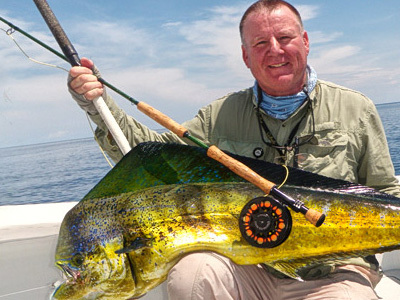 Tyler Pratke got in on the early Dorado action with this Dorado. 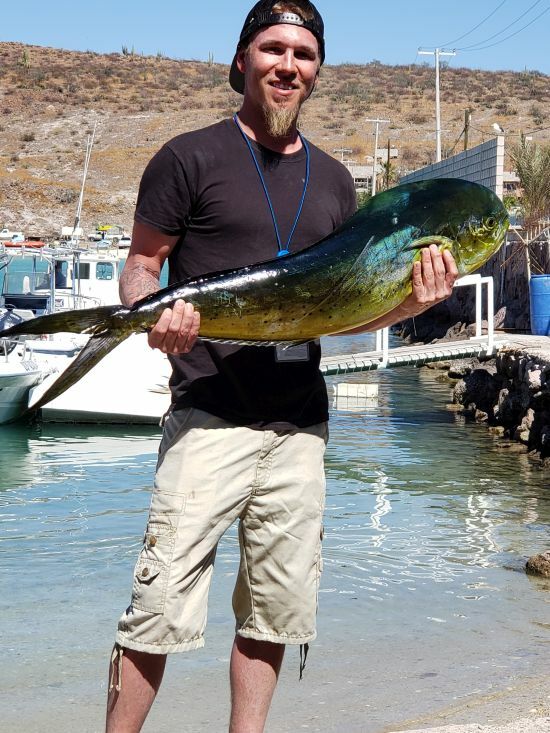 Brando Howel from the Kelly Short party landed a nice Dorado. 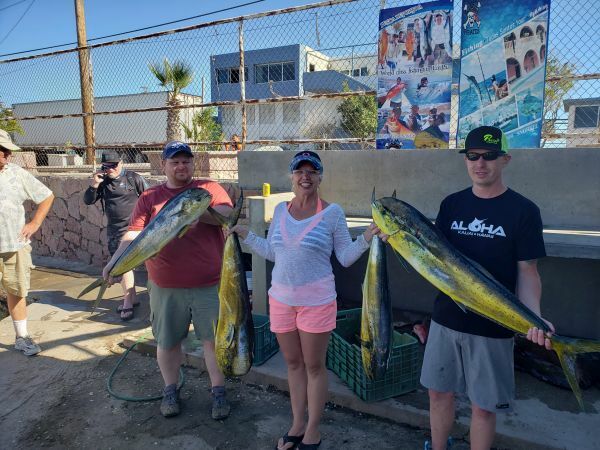 Vicki Tendall returned again this year and showed the guys that girls can really catch fish. 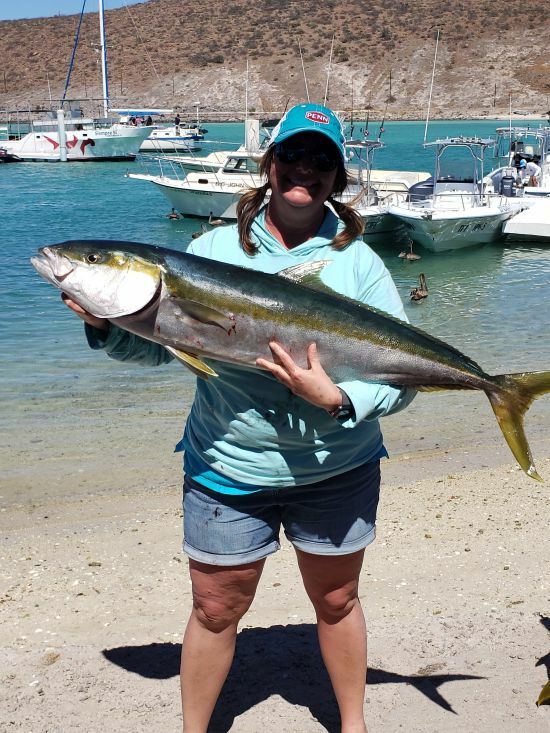 Here she shows off another one of the big Yellowtail she caught again this year. 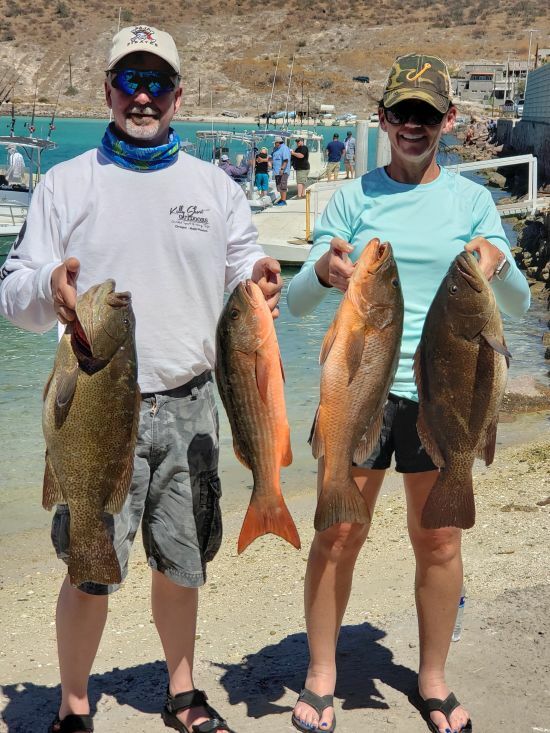 Terry and Dennis Douglas got in on the action getting a good start of filling their cooler with good eating fish. 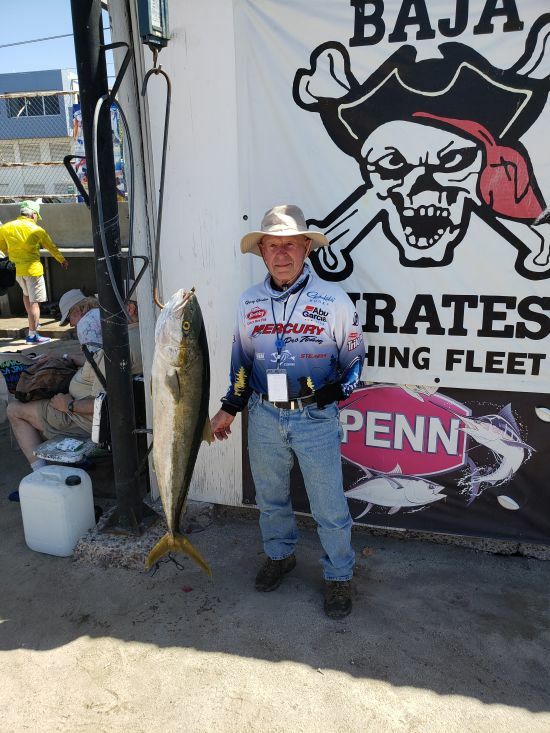 Tom Grossnickle very proudly shows off this 30# plus Yellowtail he caught. 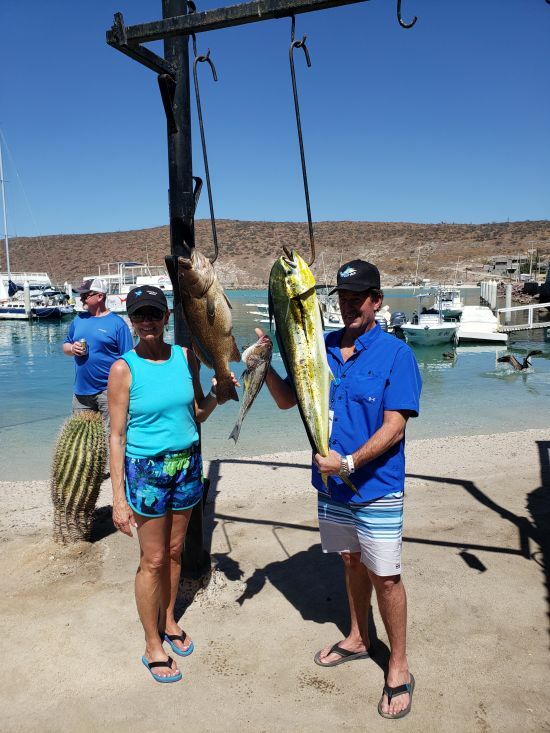 Cameron Howel, Tommy Coleman and Shala Bowen had a lot of fun fishing with us and landed enough Dorado to fill some of their coolers. 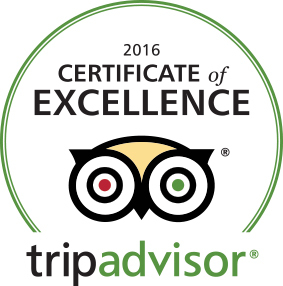 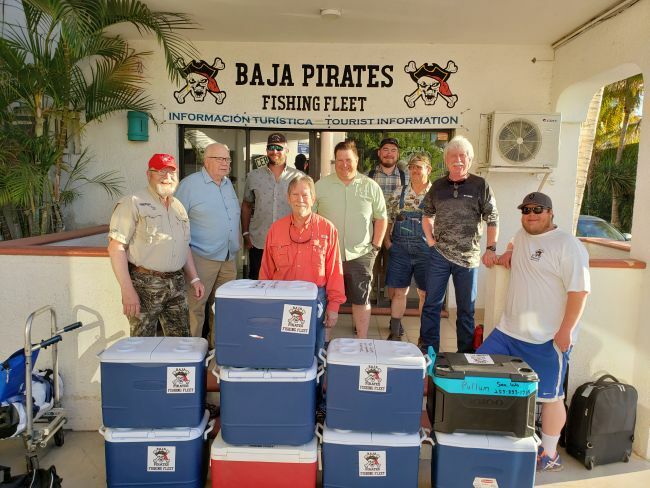 BEST BOATS - BEST GEAR - BEST SERVICE - BAJA PIRATES! 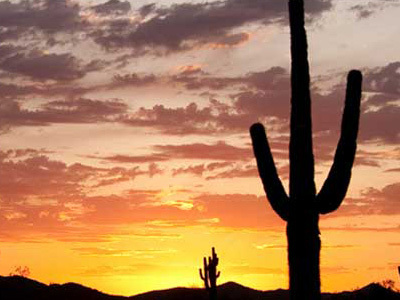 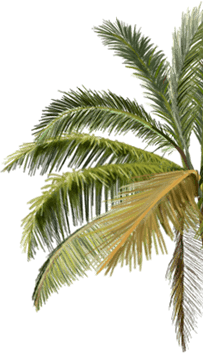 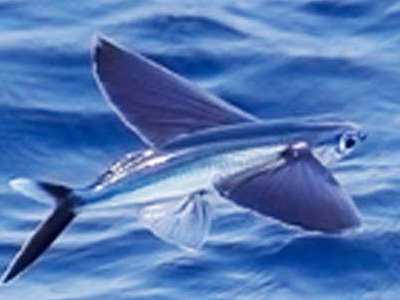 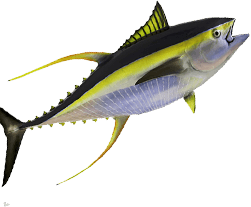 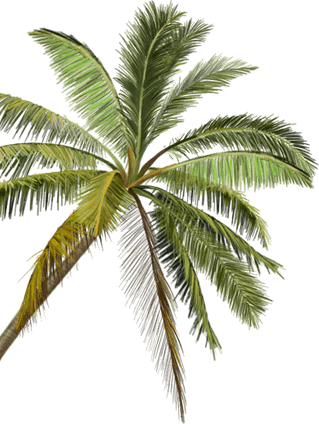 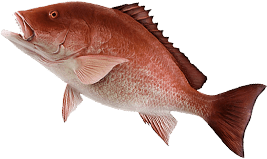 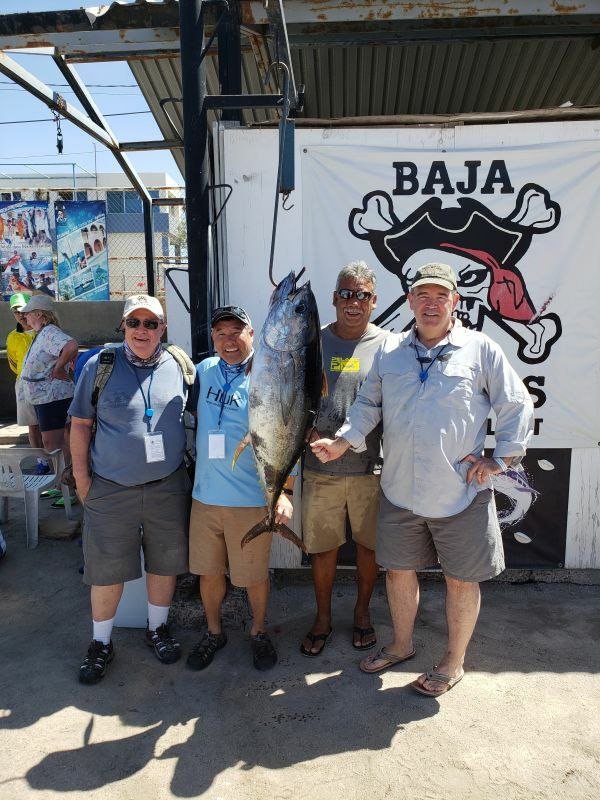 Get the latest Baja Pirates fishing reports!